Video surveillance solution | SM Security Services Pty Ltd.
One of the biggest differences between the many systems available is playback/recording quality. When it comes to video surveillance systems, the picture quality you see on the monitor screens doesn’t give a true representation of the playback/recording quality. When the big day comes and an event happens at your premises and you need to make a copy of the event and burn the information onto a USB stick for the police, you want to make sure that the images recorded can be used and will be beneficial to you. Sadly, more times than not, the recording quality on many DVR’s & NVR’s are so inferior that the recorded images can’t be used effectively. Make your own mind up by doing this simple comparison. Many sales persons you meet will invite you to visit their showroom to see their fine products in action. If you get this opportunity, we suggest you bring with you a blank USB stick and ask them to burn you a copy of the camera image you are looking at. You can then do your own comparison between what you saw on their monitor and compare that with the playback footage on your USB stick. The quality difference may surprise you, for what you see on the monitor may differ greatly from images downloaded onto your USB stick. We’ve been installing CCTV systems now for over 25 years and we’d like to think we know what we’re doing. We’ve installed in excess of a few thousand cameras for many different and varied applications. 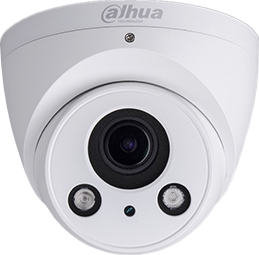 CCTV systems can vary enormously in price and performance so do your research. Cameras may all look very similar but they all differ in performance and longevity.